Sausages may have just become the most useful food in Korea. 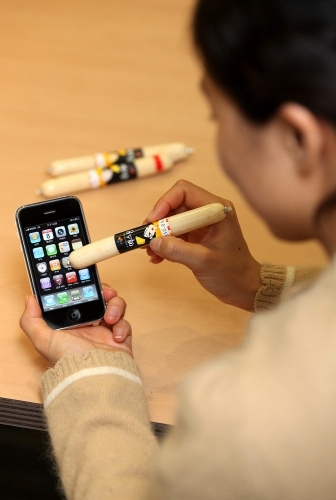 Eye News (아이뉴스24) is reporting that sales of 맥스봉 (Max Rods) has increased 39% over last year's sales, apparently due to the fact that they can be used to manipulate your iPhone on cold days when you don't feel like taking off your gloves. If you ever regretted getting your fingers replaced with sausage links when you were 5, you can finally put the past behind you! Man, that is just what I have been looking for - a tool to manipulate the screen on my phone while I am riding my bike (doesn't register with goves on, no matter if it's cold or not). Does it have to be a specific brand of Korean sausage?? should be any kind. but i, um, assume you're joking.